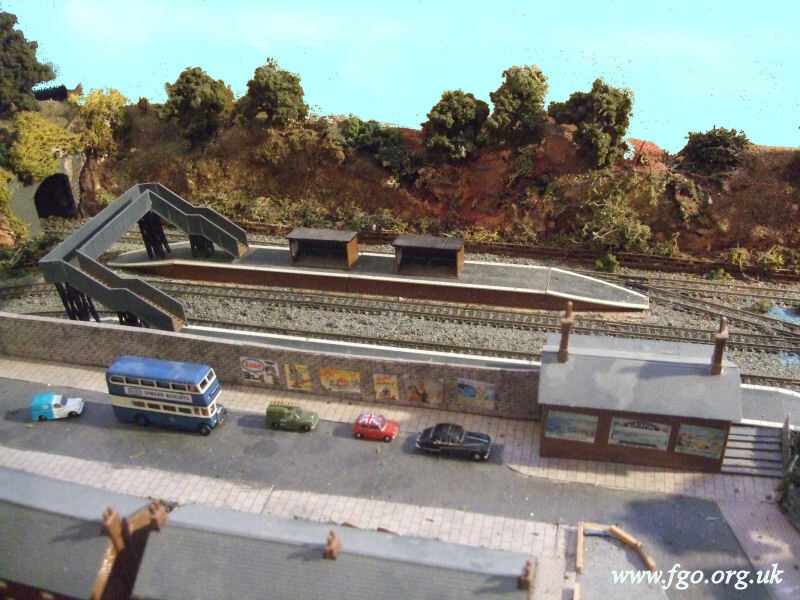 Next - a private siding, with a loco awaiting restoration with their holiday coach. Next up: something without any railway track in it. Lancastrian wrote: Next up: something without any railway track in it. Next - Entrance to a station. Next - Entrance to a station. Probably not exactly what you are looking for G, but being the end of the line this is both the entrance and the exit. Next: anything at all connected with a station. Next road side of a station. I would like to see a long bridge next. The longest (and only) bridge I have. If okay - next something you have made. OK. Far from finished as yet... But I have made it. Next. Something else you have made yourself. Mountain wrote: Something else you have made yourself. Let’s keep something you have made going. Something else that you have made. How about this? (It goes the right way up if you click on it). Something else you have made yourself to your own design. The Cafe next to the garage is a mixture of plastic bits and bobs. Next - Something else you have made. I like it. And a class 27 passing. Something I've made myself.... Well. Not exactly made myself but converted from a Hornby saddle tank loco. This loco has had an interesting history. It was bought around the 1990's and converted into 7mm narrow gauge to look something like it does now but in green and it ran with a rake of Hornby Jif waggons with the plan of a garden line. 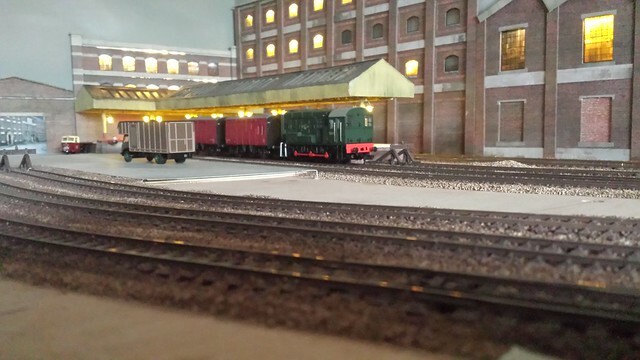 While the line was started, it was abandoned and the loco was converted back to 00 gauge using a Triang cab from a continental style 0-4-0 shunter and painted black with LDR on the tank. (A fictional railway company... Llwyndrissi Dock Railway). Then the loco chassis was swopped fore another as its original dull red wheels matched another loco. Years later when I turned back to 7mm narrow gauge with a Smallbrook Studio kit, I had also decided to use this loco as an additional loco to the narrow gauge fleet. I removed its cab and it sat in the drawer for a couple of years until I finally made a start and here it is so far. It is loco number 3 "Marmite". I was going to make it into a cables loco but decided a cab would look rather nice! I need to add central buffers and the coupling loops. The bufferbeams have been extended (Deepened) ready. Next photo. 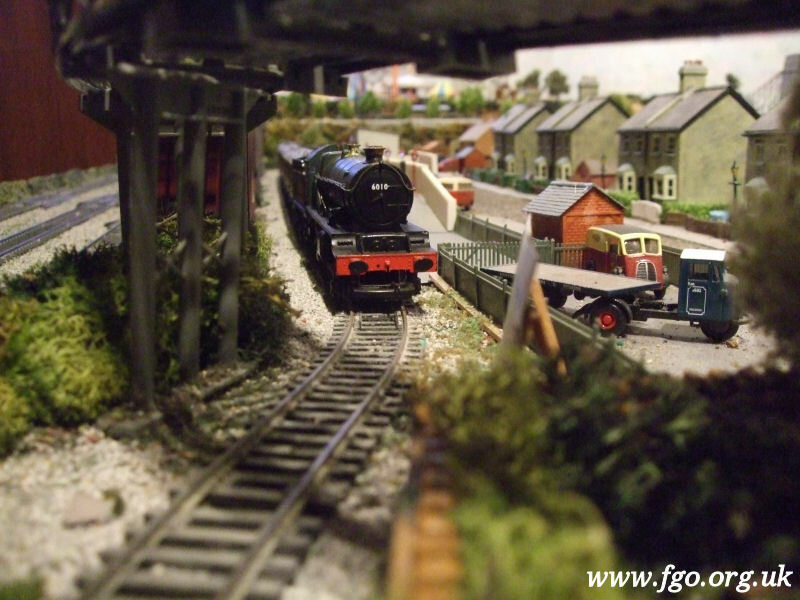 A scratchbuilt loco using a RTR (Ready made) loco as a donor loco.